Peanuts and caramel were made for each other. 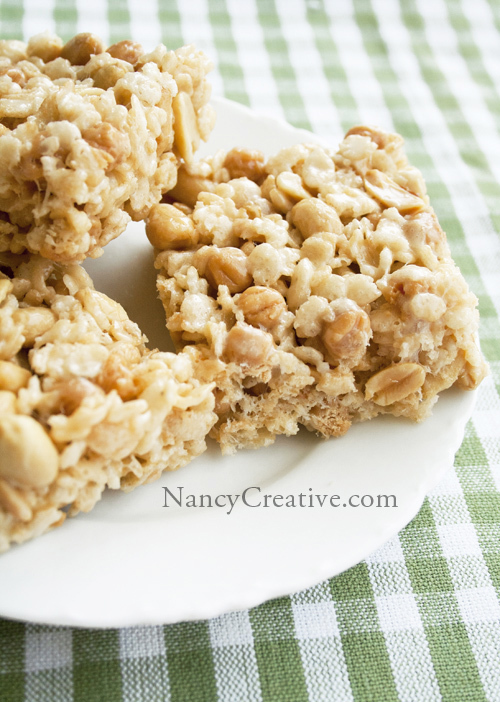 Adding them to rice crispy treats is such a great idea and I love that you can make this in the microwave! I love caramel chews so much and I just can’t find then anywhere in Hong Kong. I guess I first have to get that sorted out or figure out have to make the homemade and then so trying your recipe. I hope you find some caramels, but I bet homemade ones would be even better in this! 🙂 Looks like your comments are coming thru fine, glad things are working good with your blog now! HOw about chocolate covered peanuts?! Whatever you add in, would be awesome! 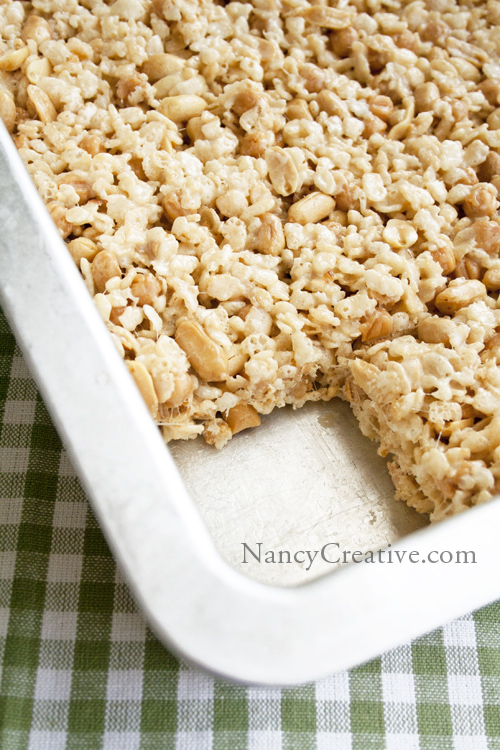 Right now, I’m on a dried cranberry kick so I bet they would even taste great in rice krispie bars!